Biopolymers are a renewable plastic material manufactured from biomass such as corn, wheat, sugar cane, and potatoes. Although most biopolymer products are not 100% petroleum free, they are biodegradable and compostable. Once the biopolymer is placed in a compost environment, they are broken down into CO2 and water by microorganisms, usually within 6 months. How Do The Physical Properties Compare To Other Plastics? While biopolymers cannot replace every plastic, they may be considered as a possible alternative to many polystyrene and polyethylene plastics on the market today. Biopolymer production is advancing rapidly in today’s market, and new materials are being released monthly. Biopolymer molding is currently being used for food service ware, house wares, packaging, film, and even spun into fabric for apparel. It can be molded in clear, or colored with largely renewable color concentrates as well. If you would like to know more about biopolymers or biopolymer molding, we have provided additional links to assist you in your research. 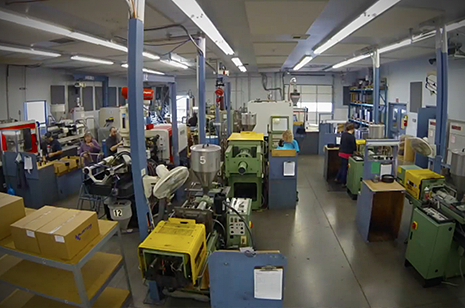 Rex Plastics is eager to support your goal of providing an environmentally responsible product to today’s conscience consumer, and drive your project’s success! Please Request a Quote here or give us a call!